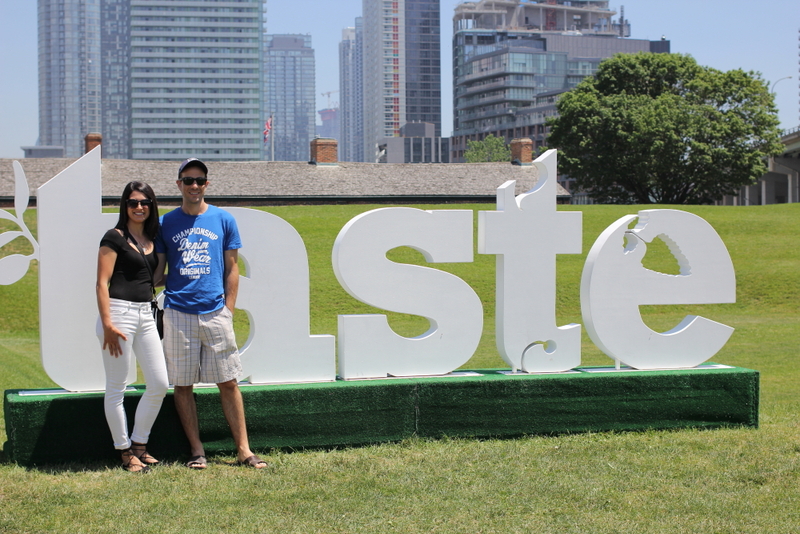 Taste of Toronto has come and gone and what a year it was! 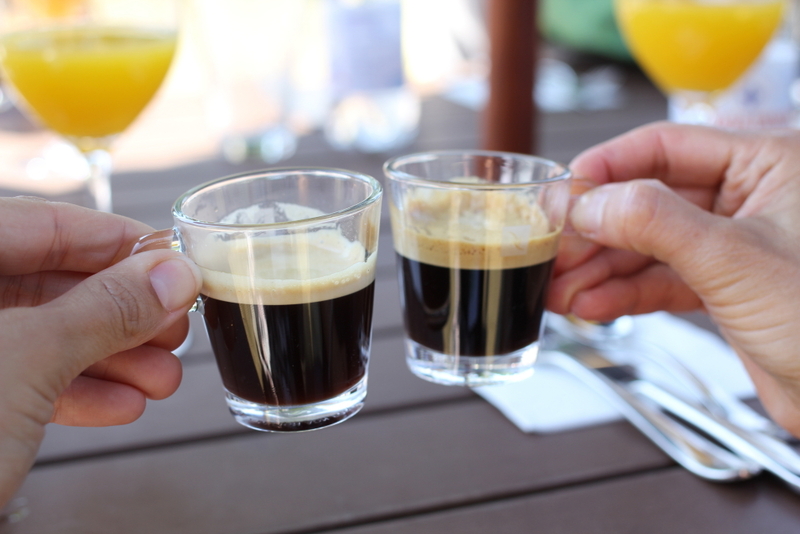 This year I brought my husband along and we double-dated with my friend Roxanne West of Bonjour Bliss Blog and her husband, Craig, and we did things a little differently than last year. We tried to eat as much as humanly possible! With our two young boys at home, we don’t get out much these days so we were really excited to be kid-free at Taste of Toronto where tons of amazing Toronto Chefs showcased their spectacular food and cocktails. We started off at Piano Piano and their veal sandwich. Right of the bat, we knew we had to strategize by only ordering one portion of each dish and splitting it between the two of us so we wouldn’t get too full, too fast. The veal was delicious, as expected from one of our fave chefs, Victor Barry. Next we hit up the McEwan Group and tried their duck dog with foie gras mousse and duck bacon — this was amazing and it was my first duck dog experience ever. I got my hot dog fix! 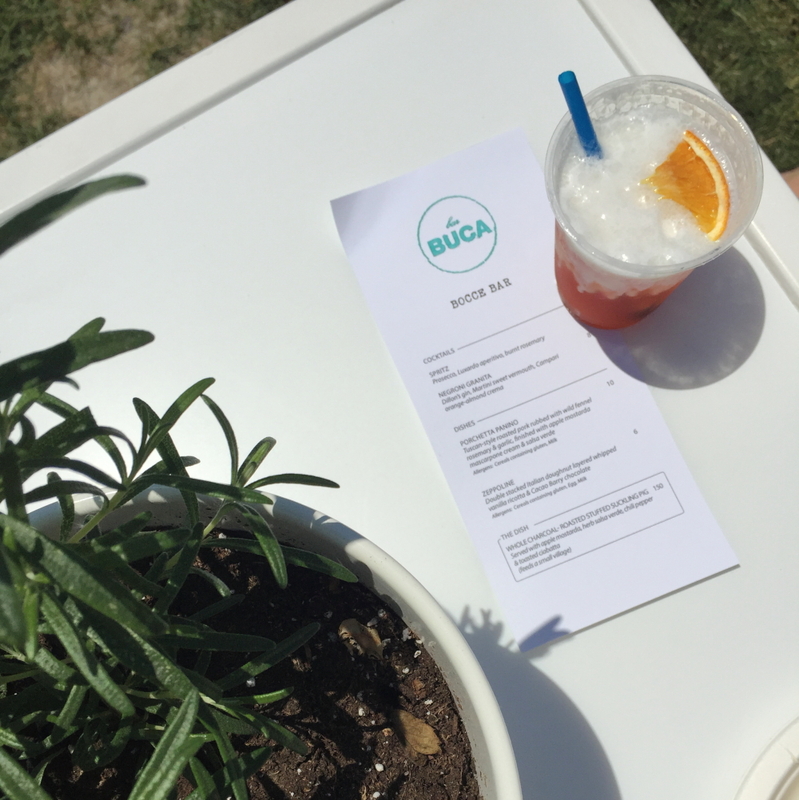 We spent quite a bit of time at Rob Gentile’s – Bar Buca booth and tried their slow-roasted porchetta and one of their feature cocktails — the frozen negroni. It’s hard to choose a favourite but this porchetta sandwich comes pretty close. The negroni was perfect too, however I may be bias because it is one of my favourite cocktails. Bar Buca’s Porchetta Panini with Tuscan style roasted pork, apple mostarda, mascarpone cream and salsa verde. I literally didn’t want to share this one! The addition of the apple mostarda was unexpected but really blew me away. 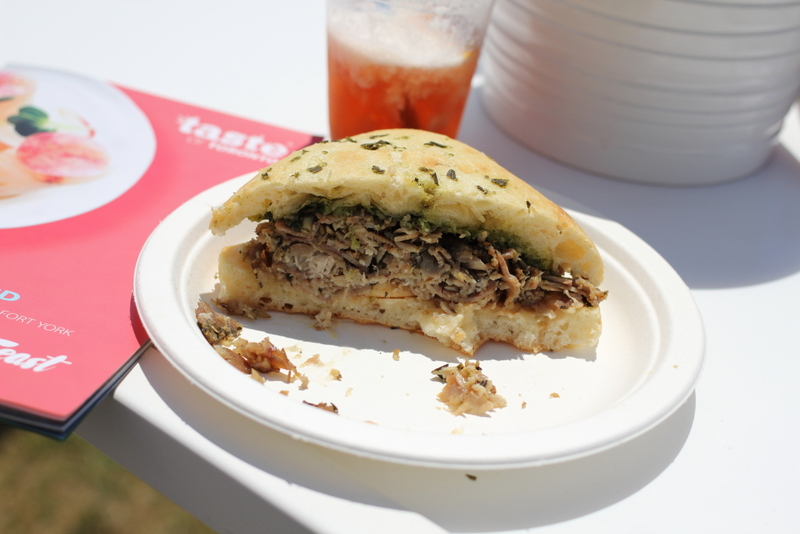 And talk about fresh, the porchetta literally went from spit to herbed focaccia bun! 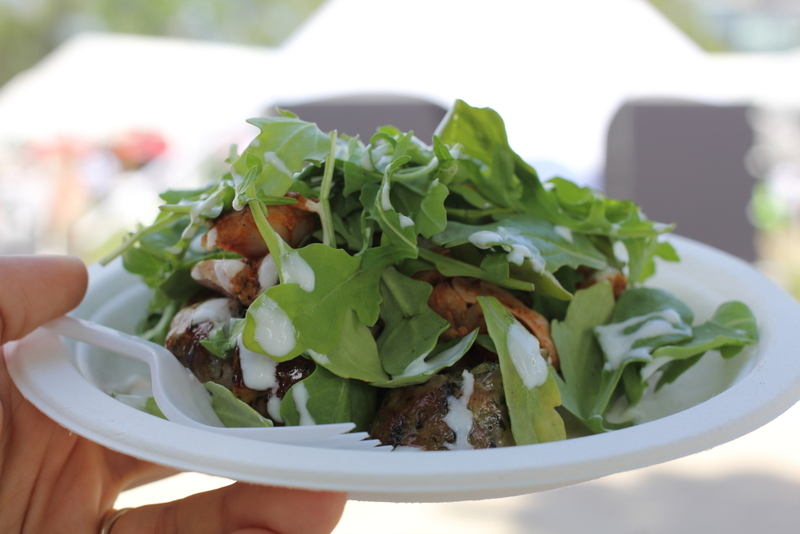 Best in Taste Award winner Grant Van Gameren served up some incredible dishes. 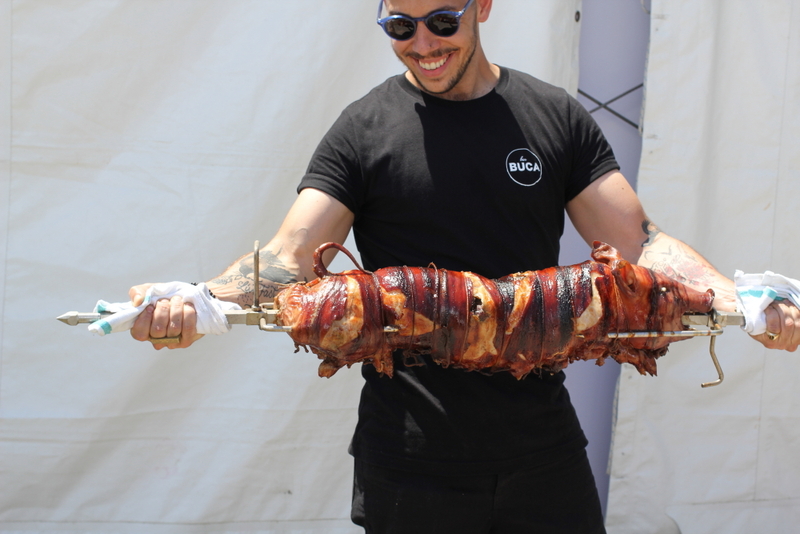 No surprise here that he took hone the Best in Taste Award this year! 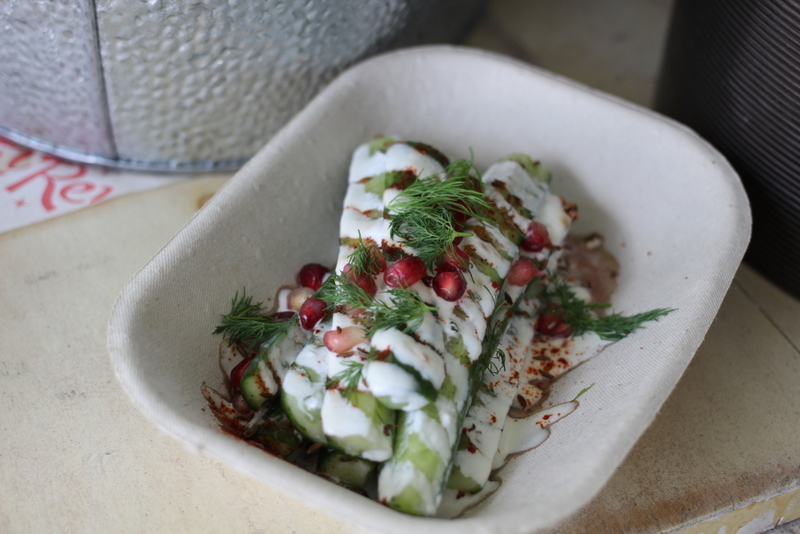 His cucumber Salad with Feta, Dill, pomegranate, and sumac caraway was light and delicious — also a nice break from all the meat. I’m always amazed by the combinations of taste and texture in Grant’s dishes. The Piri Piri Chicken looks all innocuous but don’t be fooled! 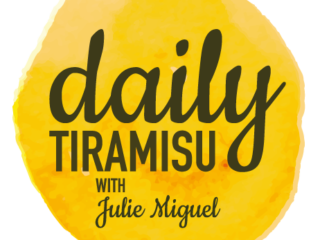 This is some of the best Piri Piri chicken I have ever had – and with my husband being Portuguese and all, I eat it quite a bit! This was another one I did NOT want to share. 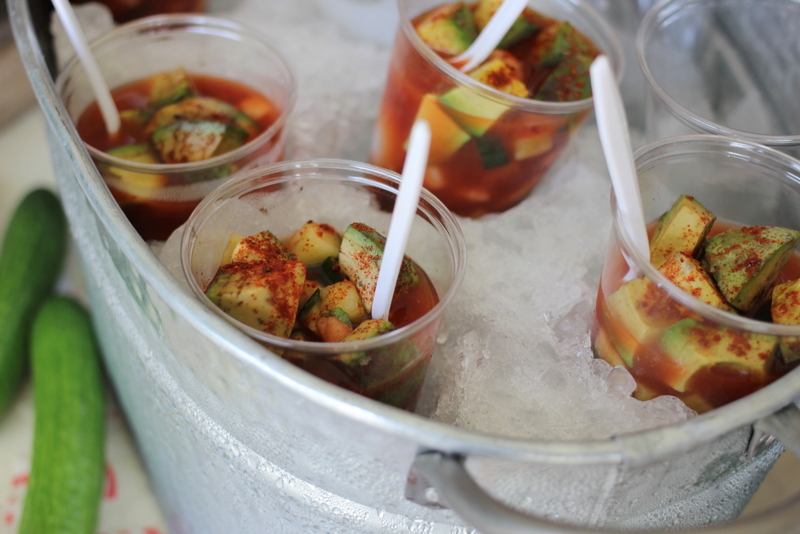 Their Shrimp, Jicama and avocado cups were another great meatless option. 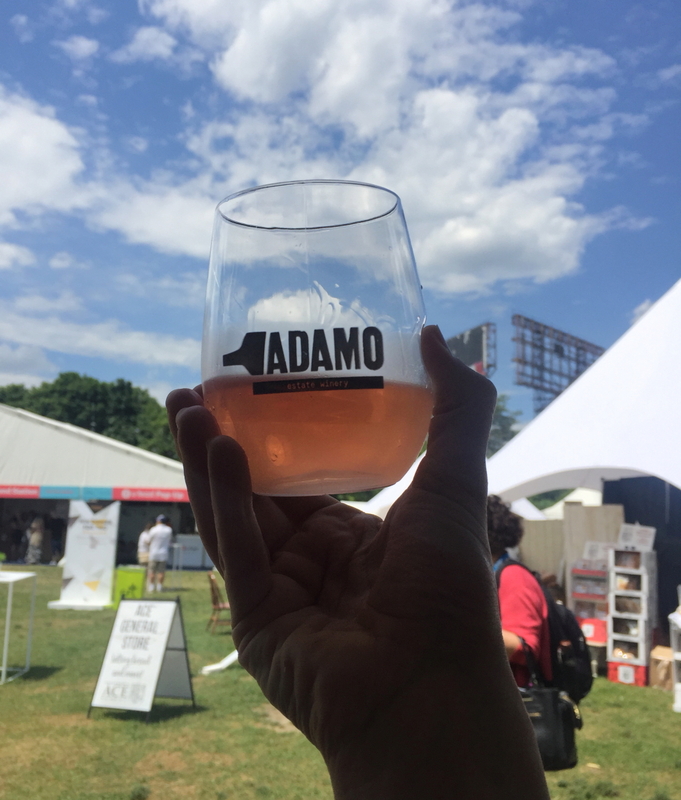 Other notable mentions are my friends at Adamo Estate Winery. They served up a perfect Rose among other great wines produced at their Winery in Mono, Ontario. I can literally drink Rose all day, especially when it’s this perfect! 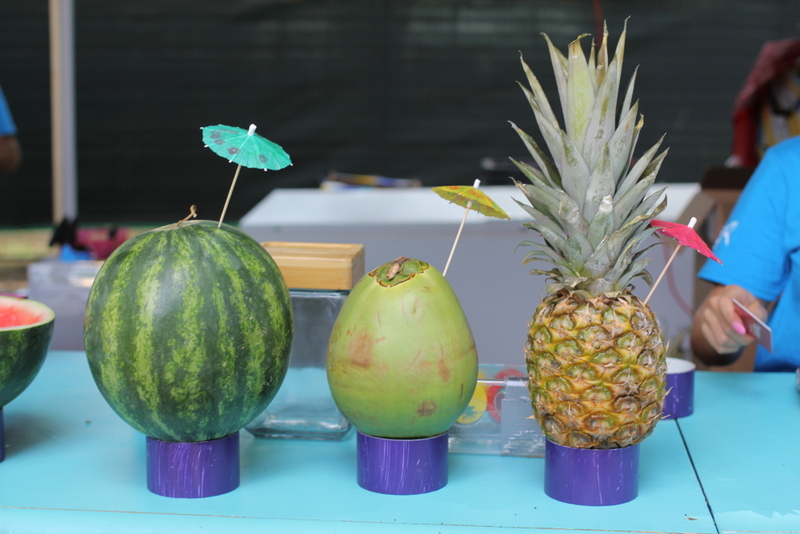 Tropic Love served up a “vacation novelty” of drinking from a fruit. I got the watermelon and it was fun and refreshing! I was terrified of dropping it — it was enormous! 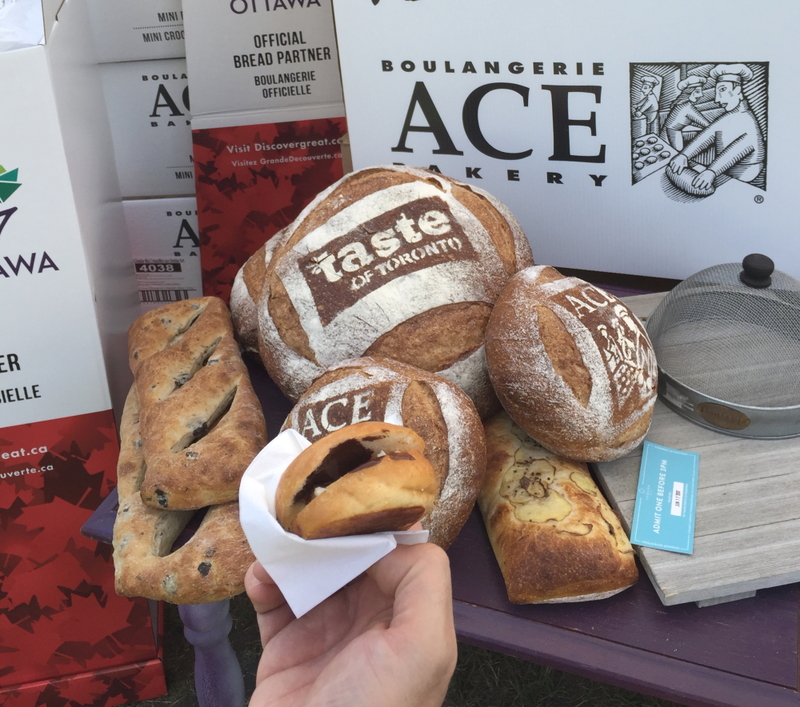 Ace Bakery served up a chocolate brioche dessert with brie. 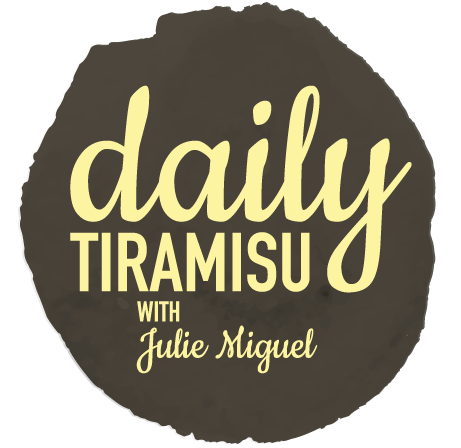 I had to refrain from eating too many of these – as they were prepared on demand and fresh, hot and delicious! Their staff were all really fun, wearing shirts that had bread puns on them! 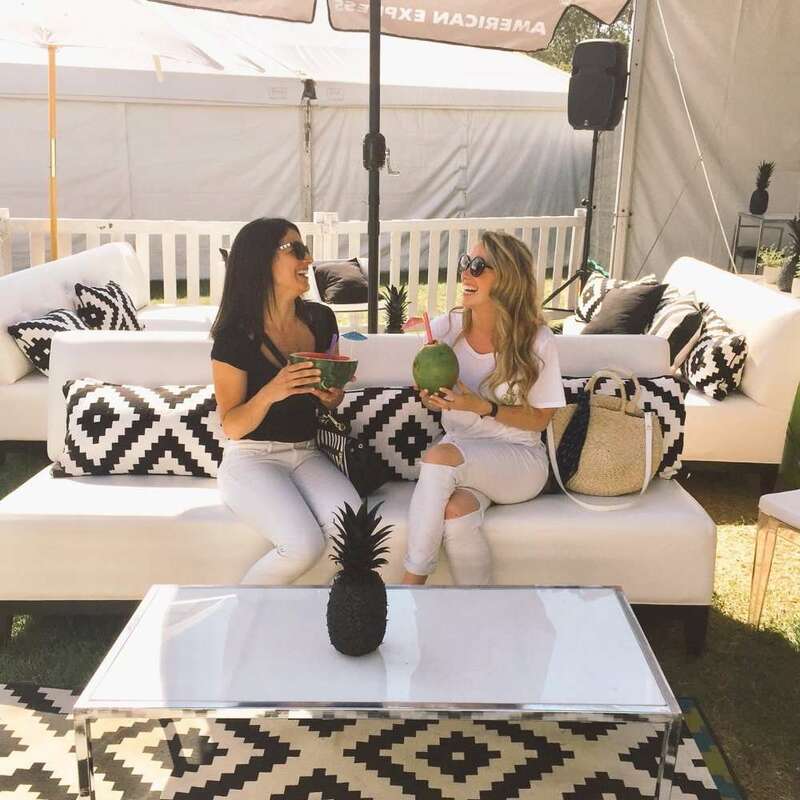 It was an incredibly hot and sunny day so we cooled off in the Amex Canada VIP lounge where they had plenty of snacks, cold drinks and some really pretty decor. Nespresso was also available in the lounge and at their own large walk-in booth, where they served coffee, espresso, iced coffees, lattes and more to keep us going. 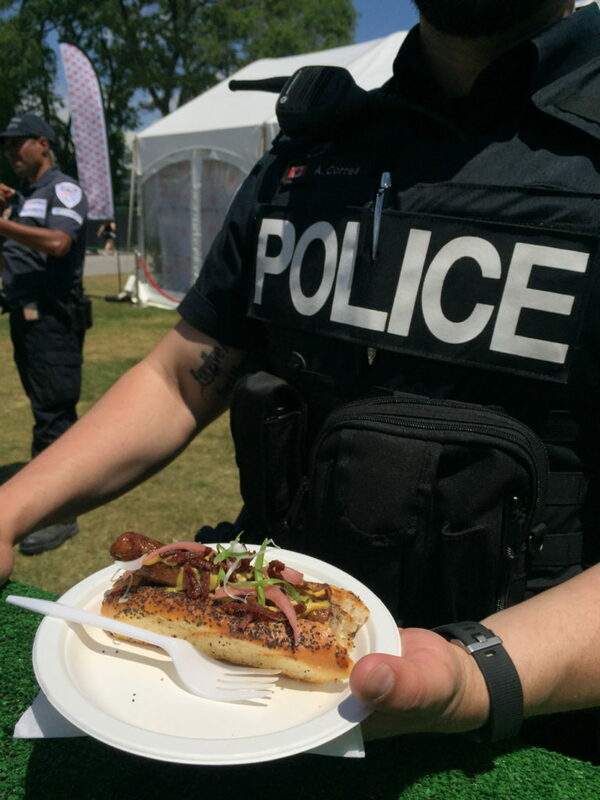 In addition to plenty of eating and catching up with all of my foodie friends, there was also great live music and the Taste Stage hosted by my friend, Michelle Jobin — where celebrity chefs like Aaron Sanchez, Mark McEwan and many more showed off their cooking chops. 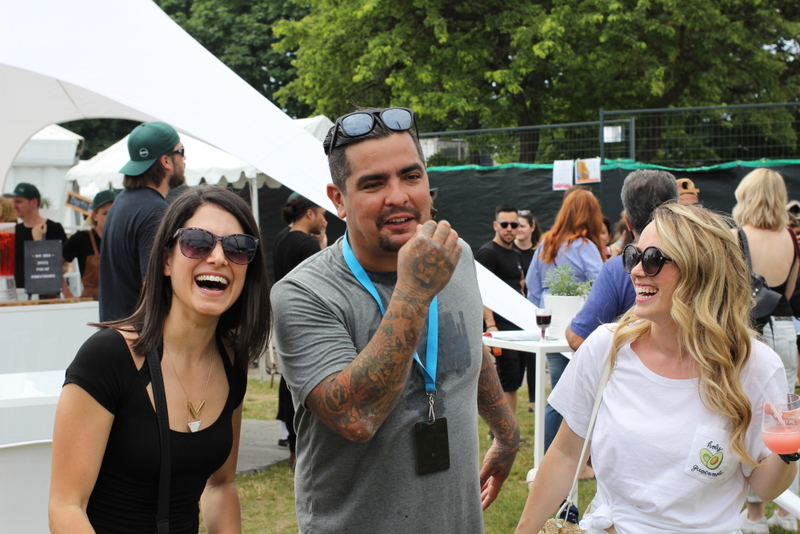 We ran into Chef Aaron Sanchez as he was walking the grounds of the festival – a highlight for me, clearly! Another fun year at the Taste of Toronto is in the books. 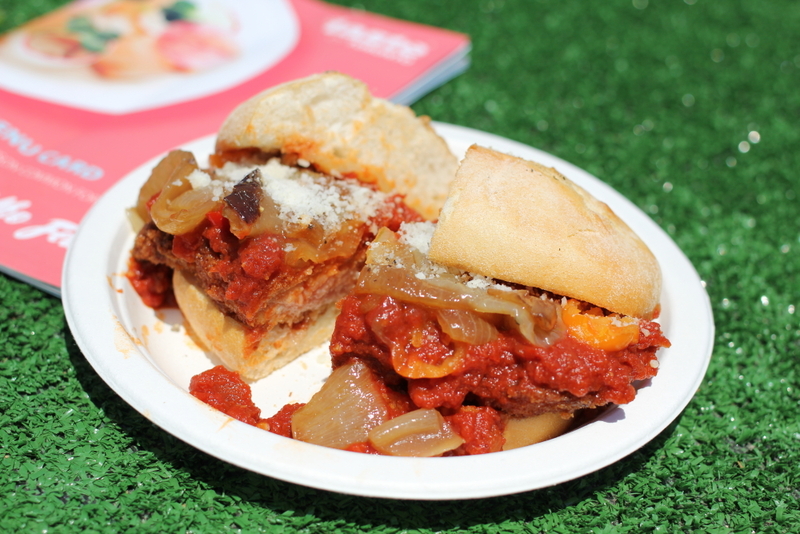 It really is the ultimate Toronto Festival for #friendswhofeast, just like their hashtag denotes. We feasted, enjoyed the beautiful summer weather and made many awesome summer memories — an fun and delicious way to kick-off the summer! 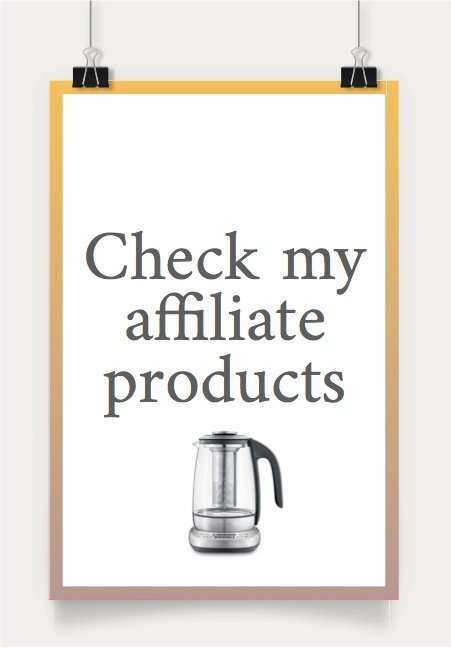 *I attended the event free of charge, however, and as always, all opinions are my own.